If you're on a trip to Vancouver, you no doubt are marveling at the drop-dead-gorgeous views nearly everywhere you look, its renowned restaurants and bars, and its interesting neighborhoods. 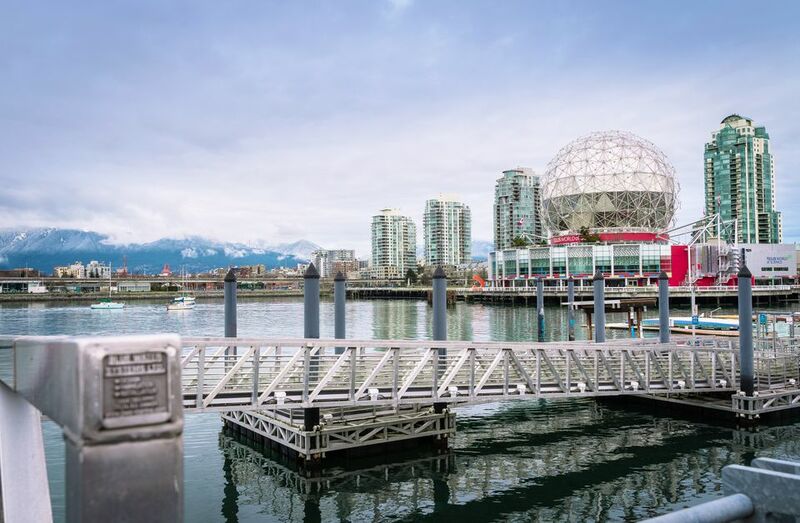 But if you want to dig deeper and know more about the city, check out its world-class museums and galleries, where Vancouver's rich cultural history is on display. You can explore Canada and Vancouver's art, history, people, and the environment through permanent, year-round exhibitions. Check the museums' websites for special exhibitions on show at the time you plan to visit. If you see only one museum in Vancouver, it should be University of British Columbia's Museum of Anthropology ​or MOA. MOA's incredible collections of First Nations and Coast Salish works of art and artifacts are unique to this region. You'll see things you've never seen before that are unlike anything else in the world at MOA. The art, sculpture, and historic works here, including magnificent large-scale sculptures and totems, shouldn't be missed. Keep an eye out for the Raven and the First Men sculpture by First Nations artist Bill Reid; it's on display at MOA and is the image on the back of every Canadian $20 bill. One of downtown Vancouver’s most notable landmarks, the Vancouver Art Gallery's exhibits range from cutting-edge, contemporary work to historic masters. The gallery is home to more than 9,000 works of art, including the largest collection of paintings by the famous British Columbian artist Emily Carr and a world-renowned collection of contemporary photo-based work. If you're on a budget, you'll be glad to know that you can get in by donation (without a set admissions fee) every Tuesday from 5 to 9 p.m.
For families with children, especially kids 10 and under, Science World (along with the Vancouver Aquarium) is a can't-miss destination. Not only is it one of the best attractions for kids in Vancouver it's also a great place to visit on a rainy day. Dedicated to teaching kids about science and technology, Science World has loads of hands-on and interactive activities for kids. For example, in the Eureka! Gallery, kids can learn about water, light, sound, and motion by launching balls and parachutes and playing music on "invisible" harp strings. The Museum of Vancouver, or the MOV, and the Space Centre are two separate museums in one building, and you can get a discount admission if you go to both museums on the same day. The MOV is Canada's largest civic museum; it's home to permanent displays, exhibitions, and educational programs about the natural, cultural, and human history of the Vancouver region, from First Nations to industrialization to today. The MOV shares its iconic domed building with the kid-oriented H.R. MacMillan Space Centre, which is part space and science museum, part planetarium, and part observatory. Boats, boats, and more boats: The Vancouver Maritime Museum is Canada's premier Pacific Coast maritime museum and home to the fully restored St. Roch, a 1928 schooner that traversed the Northwest Passage and circumnavigated North America. Located on the campus of the University of British Columbia, Vancouver’s natural history museum features more than 500 exhibits that examine the wonders of the natural world. Workshops, talks, and late night events are held here to teach visitors more about the earth's flora and fauna. Housed in the historic Wing Sang building (51 East Pender Street), which is Chinatown’s oldest building (1889), the Rennie Museum is a private collection owned by real estate mogul Bob Rennie. Local and international artists are showcased in the gallery and free tours are available to the public. Sports fans can check out the BC Sports Hall of Fame & Museum at BC Place. Attractions include interactive exhibits such as a rotating climbing wall, 14 meter timed running track, and bubble hockey. Other galleries focus on women in sports, the Winter Olympics of 2010, and a Hall of Champions gallery. Visitors can also see a window into BC Place sporting venue. Take a trip back in time at 1415 Barclay Street's Roedde House Museum at the 19th century home of Vancouver's first bookbinder, Gustav Roedde. the Roedde House Preservation Society has carefully restored the house to create an accurate portrayal of late Victorian family life in the West End.